Investment bankers often are stereotyped as greedy, overpaid leeches who will say or do anything for a quick buck. However, despite certain biases, investment banks do add value to mergers and acquisitions and, in fact, produce important information for the M&A advisory process, according to new research by Matthew Cain, assistant professor of finance at the University of Notre Dame’s Mendoza College of Business. 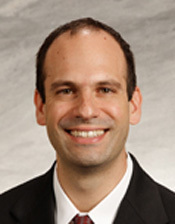 The lead author of “Information Production by Investment Banks: Evidence from Fairness Opinions,” forthcoming in the Journal of Law and Economics, Cain analyzes a sample of more than 500 fairness opinion valuations that investment banks produce in relation to mergers and acquisitions, one of the primary business units of investment banking. Cain says the fairness opinion valuations they produce provide an objective product that can be analyzed to shed light on the motivations and value added by investment bankers. However, Cain also finds that despite these potential biases, investment banks still produce new and valuable information through their valuations. So, how can biased valuations be worth anything? Also the lead author of “Cleared for Takeoff? CEO Personal Risk-Taking and Corporate Policies,” Cain’s areas of specialty include mergers and acquisitions, corporate governance and financial contracting. Originally published by Shannon Chapla at newsinfo.nd.edu on May 21, 2012.